Kwan Fai Cheng joins iMiller Public Relations as a Digital Marketing Associate. Prior to joining iMPR, Kwan Fai has worked for J. Patrick and Associates as a Technical Operations and Marketing manager, handling all of the firm’s technical aspects within marketing and operations. 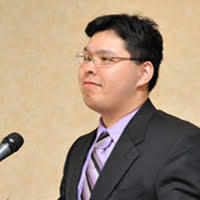 Kwan Fai also has 8+ years of web development and management experience. He has supported and added value to the business by becoming certified as an Inbound Marketer as well as taking professional courses in User Experience (UX) and User Interface (UI). In doing so he has optimized the firm’s website, making it search engine friendly and streamlining the company’s tools and services. As a result, Kwan Fai has increased the efficiency of the company’s business process achieving higher search rankings for the company overall. Kwan Fai holds a BS, majoring in both Business Management and Business Marketing from SUNY New Paltz. Kwan Fai has practiced Tai Chi since he was 8 years old. He was also trained in classical Fuzhounese (a provincial Chinese area) and Japanese styles of cooking at a very young age.